Gloria J. Tialdo, nee Eckley, 71, of Belleville, Illinois, born, in Belleville, Illinois, passed away Friday, March 29, 2019 at her residence in Belleville, Illinois. Gloria was born in Belleville, IL to Paul and Clara Eckley on August 26, 1947. She attended Belleville Township High School where she met and married her late husband Ron Tialdo on June 21st, 1969. She graduated from The University of Kanas and went on to become an elementary school teacher, then became a Real Estate Broker/Owner of Tialdo Realty in 1981 for 38 years. 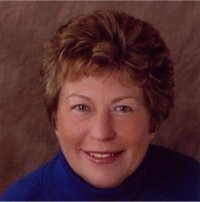 She was a past President of the REALTOR Association of Southwestern Illinois and a life member and served on many state committees for the Illinois REALTORS Association. She was involved in the Swansea Rotary, BNI Belleville Chapter and attended Christ Church. Memorials: Memorials may be made to Christ Church or the Belleville Area Humane Society. Visitation: Visitation from 3:00 pm – 6:00 pm, Friday, April 5, 2019 at Christ Church, in Fairview Heights, Illinois. Funeral: Funeral Service will be held at 6:00 pm, Friday, April 5, 2019 at Christ Church, 339 Frank Scott Parkway East, Fairview Heights, IL, with Rev. Shane Bishop officiating. Private Family interment. Tricia and family, my sincere sympathy to you all. So sudden and soon after your Dad. Will keep you in my prayers. Your Mom and your Dad were great leaders in the community and I will miss seeing her at Rotary and other events. Hugs. So sorry to hear this! My condolences to the family. Trish and Tim, you are both in our prayers and hope you find the good memories to fill the absences in your day. So sorry to hear this. I was a student and Barb & I bought our first house from Gloria. She was such a thoughtful person! Our sincerest condolences! I am so sorry to hear about Gloria’s passing . She and Ron were two great people. Tricia and Tim, I was glad I got to see your Mom at the recent awards banquet. Good to speak with her and give her a hug after she Received an award for your Father and his Achievements with our association. It was not only a pleasure to know your Mom for so many years but your entire family. Our thoughts, prayers and many memories Are with you and your family. I am so very sorry about the loss of your mom. Sending prays of love and strength to you and your brother during this difficult time. Your parents will be missed by many. Tricia and Tialdo Family, You all are in my thoughts and prayers. I was in Rotary with your mom (and dad). Such a special lady. She will be missed by many. My condolences! Tricia and Tim. Gloria and Ron were amazing people and will be missed by many. We consider it an honor to have known them both. Thoughts and prayers to all your family in this most difficult time. Have know your parents over 53 years…..My husband Mike and I went to school with your parents. Then had our cake business next door to their business for years. Condolences and Praying Gods comfort for all of you during this time . So sorry to hear about your mom. She always had a smile and was a sweet friend. I am so happy that she got to enjoy Teale even if for a short time. You are in our thoughts and prayers. Sending comforting hugs and lifting you and your family up in prayer. I’m very sorry for your loss. Trisha, Please accept my sincere condolences. I’m praying for you and your family. What a legacy your parents have left that will continue to shine. Tricia, I am sorry for your loss. My thoughts and prayers are with you and your family!!!! Gloria was such a kind neighbor and special person. Sara, the kids, and I really appreciated her and will miss her. Kelly and I are so sorry to hear this. It was wonderful to see you and your mom at the recent awards ceremony accepting the recognition of your dad. Peace and comfort to you and yours, my friend. So sorry for your loss. Your Mom was a special woman. Heaven did indeed gain a special angel. Gloria was a great person who cared about everyone she met! I feel very fortunate to have known her and especially that I shared lunch with her the other day and got to catch up a bit! As a very proud mother, her eyes lit up every time she spoke of her children! Very sorry for your loss and our prayers are with you during this most difficult time! Tricia, your mom was so Proud of you being elected President. You are a wonderful realtor/saleswoman. So nice to see your mom at our January reunion dinner. She looked great. Please accept my warmest condolences, your mom was such an outstanding lady, I’m sending thoughts of peace and courage your way. Trish; my heart goes out to you. What a loss to lose both parents so close. They were wonderful people and a true asset to our community. You are a wonderful daughter and community member. Prayers🙏♥️and love. So sorry for your loss. My prayers for the family and friends Praying for you, Chuck and Tona Eckley. Tricia and Tim, so so sorry for your loss. Your folks were one of a kind good people! Always with a smile, and a twinkle in their eyes. God Bless them as they reunite in Heaven. Hang on to those good memories! My deepest sympathies to you Trish. I know it’s heartbreaking. I’m so glad I got to spend some time with your mom over the last week. Sharing mimosas and going out to eat for fish. We got caught up on old times while she kept track of the basketball games on her phone.. I feel like it was meant to be. She was a wonderful kind person always welcoming always willing to help. I’m so glad for the 30 years we had in real estate together. She was really someone special just as your dad was. I understand it was your dad’s birthday. What a gift for him to be able to spend it with his wife. Hang onto the memories, they will get you through until you meet again. I’m here for you if you need someone to talk to or cry with. Tim and Tricia, sorry for your loss. She will be missed. Enjoyed many decades of Service to the Realtor Associations with Gloria. She had such class and was so wise and resourceful. My sympathies. Your mom was a caring person. Gloria and I were on yearbook staff together at jr. college, Ron’s mom and my mom were good friends, and Gloria and Ron helped me sell my parents house. Both were always caring. Trish and Tim…so terribly sorry to hear about your mother. You know she and your dad are now together forever. Wish I could have been there with you.